Fishing can bring out the competitive nature in a person; like who catches the first, the biggest and the most. It appears that we may have a little of that going on with Julie and Matt; the mom vs son. 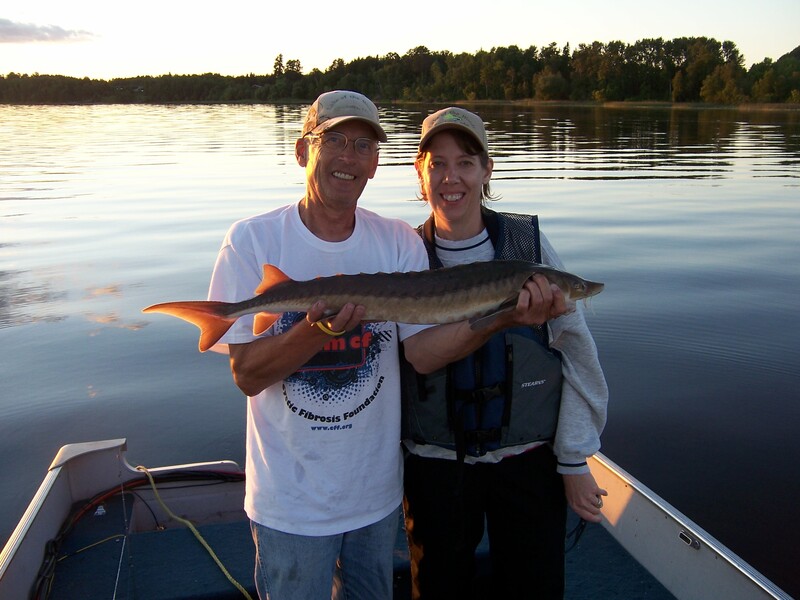 Monday was to breezy to go to the lake so Julie, Matt and I went sturgeon fishing for a couple of hours in the late morning and again after supper. The water has cleared up some after the storms of last week and there is a little bit of a sturgeon bite. 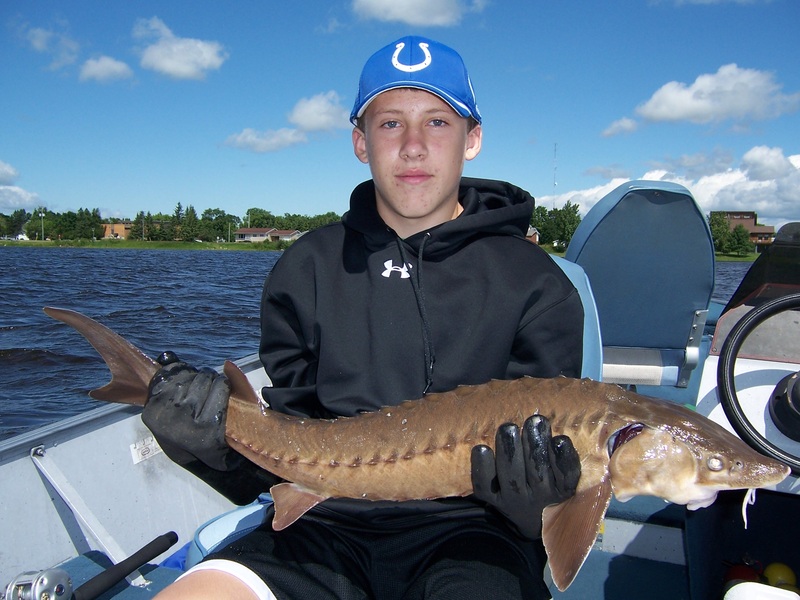 We caught two sturgeon in the morning and three in the evening along with a rock bass and a small sauger. Matt has caught the largest so far, 34″. Julie has caught one 33″ and the rest have been those little two footers. Julie’s gave her quite a fight and there was real disappointment when it came up an inch short of Matt’s. There is still a few days to go.